Also known as Kowai hut but not to be confused with Kowhai hut in the Kaikoura area near Mt Fyffe. 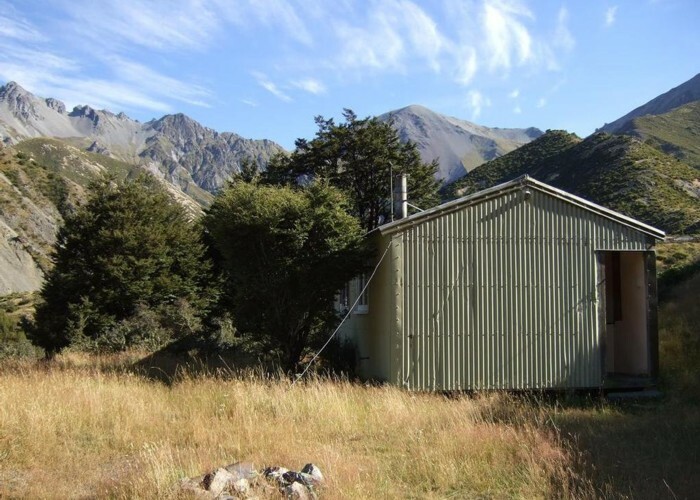 This hut is on Brooksdale Station near Porters Pass in the headwaters of the Kowai River. Brooksdale Station if asked for permission generally agree to allow walking access across their land and use of the hut. The hut was built in 1973 for research purposes. It has seen better days but a group of volunteers have started to take an interest in the place. Brian Reid has begun maintenance and Alistair Macdonald from the Permolat Group have gone on to achieve impressive results. John Hayward Memorial Hut Feb 2014 • By glennj. Licence: C.
Added 21 February 2014 by glennjglennj. 3 revisions, most recently 24 August 2017 by glennjglennj. 150 views in the past year (13 per month).